Lose weight happily with the UN-diet! If you're anything like me, life REVOLVES around food. You wake up thinking about what you're going to have for dinner. And as you're eating breakfast, you're dreaming of lunch. Sound familiar?! It's no secret that I LOVE and LIVE to eat! But that food obsession has also given me a lifetime of weight struggles. I am a former yo-yo dieter, binge eater, fad diet hopper, carb cutter, and obsessive calorie counter. Which is why I am SO excited to announce our new mindful eating program, 2B Mindset! The principles of this program are what helped me lose weight and I'm so excited Registered Dietitian Nutritionist, Ilana Muhlstein, has created an easy to follow program for YOU to follow too! This program is going to change your life! Is constantly "on a diet"
This program was created by Registered Dietitian Nutritionist, Ilana Muhlstein, as a practical and simple weight loss solution after years of yo-yo dieting. 2B Mindset is NOT a diet – it’s about understanding how to lose weight happily, without feeling deprived or counting calories or cutting out entire food groups. You’ve heard the phrase “abs are made in the kitchen,” right? That’s why we are focusing on food as a means of weight loss while still keeping it enjoyable! Instead of adopting the mindset of "I can't have that food for 3 weeks because I'm on a diet," you'll be focusing on what you CAN have and saying YES to the foods you want! This is simply a more positive and sensible approach to a healthy lifestyle that allows you to shift your mindset, adopt a more positive perspective on how you see food, overcome emotional eating, and make life-long changes with results that LAST! You’ll get recipe ideas and meal prep help, plus tips for conquering emotional eating and more. Ilana has been working on this program with Beachbody for the past 2 years along with many years of researching and testing on her own to develop this program! She has taught 10 semesters of these concepts in a weight loss seminar at UCLA and helped thousands of people lose weight in her private practice in Beverly Hills. And after a lifetime of weight struggles and summers at "fat camp" herself, she dropped everything traditional weight loss programs teach and lost 100 lbs with her own mindful eating concepts! THAT is why I can't wait to share them with YOU! WHAT CAN YOU EXPECT IN THESE VIDEOS? Ilana breaks down the core principles of the program and teaches you how to shift your mindset and implement research-based techniques that yield long-lasting results so you can ditch the diet and be happy while losing weight. She walks you through every aisle of the grocery store to show you how to save money, read labels, plan for your week in an efficient way, and make the best decisions! She also teaches you how to eat out, how to go to events, how to approach eating at a BBQ or party, how to order take out, how to conquer emotional eating, and more! 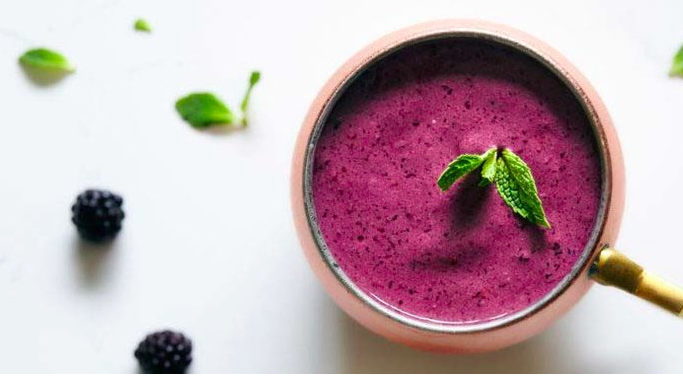 An integral component of the 2B Mindset program is Shakeology, which is unlike any other shake because it's made from over 70 whole superfoods from around the world. It will replace your vitamin and probiotic, fill you up, give you natural energy (without caffeine), and tastes delish! Plus it helps your hair, skin, and nails! And it has nothing artificial! It's literally what gets me out of bed in the morning and keeps me going. And I really think it's why my sons rarely get sick (and why their nails grow like weeds and need to be cut twice a week!). This program follows a "food first approach" - meaning that you'll focus on the food first, shed some weight, then feel empowered to exercise. I know from personal experience that it's HARD to exercise when you have extra weight and feel disconnected from your body. With the 2B Mindset approach, you are NOT required to exercise. Exercise is considered "extra credit," so you can do it, but you are not required to do it until you feel ready. And believe me, you will you will WANT to exercise when you have that positive relationship with food and love your body! Luckily, you will have access to our "Sweatflix" of workouts with thousands of different workouts to choose from at any time. ARE YOU READY TO CHANGE YOUR LIFE, BODY, AND RELATIONSHIP WITH FOOD? JOIN MY FOOD FREEDOM PROJECT! I am going to be hosting a private accountability Fit Club, called The Nutritional Makeover, for my clients to help them navigate the 2B Mindset nutrition plan, to implement the strategies, and be there with them every single step of the process. If you are interested in locking arms with me and a group of women just like us, complete the form below and I'll be in touch! 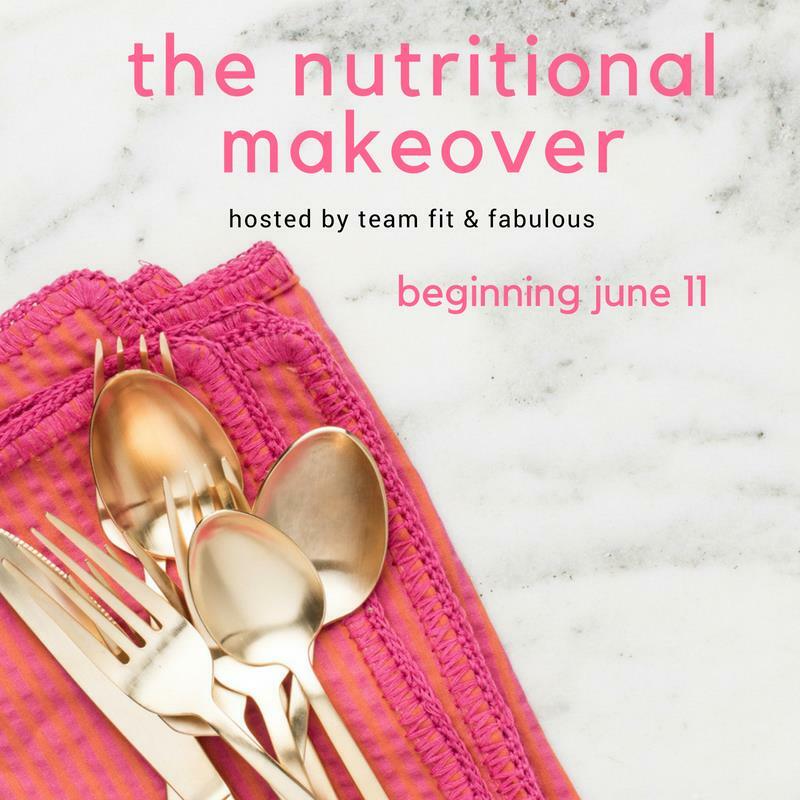 SAVE YOUR SPOT IN THE NUTRITIONAL MAKEOVER! Ready to win the weight loss battle once and for all? 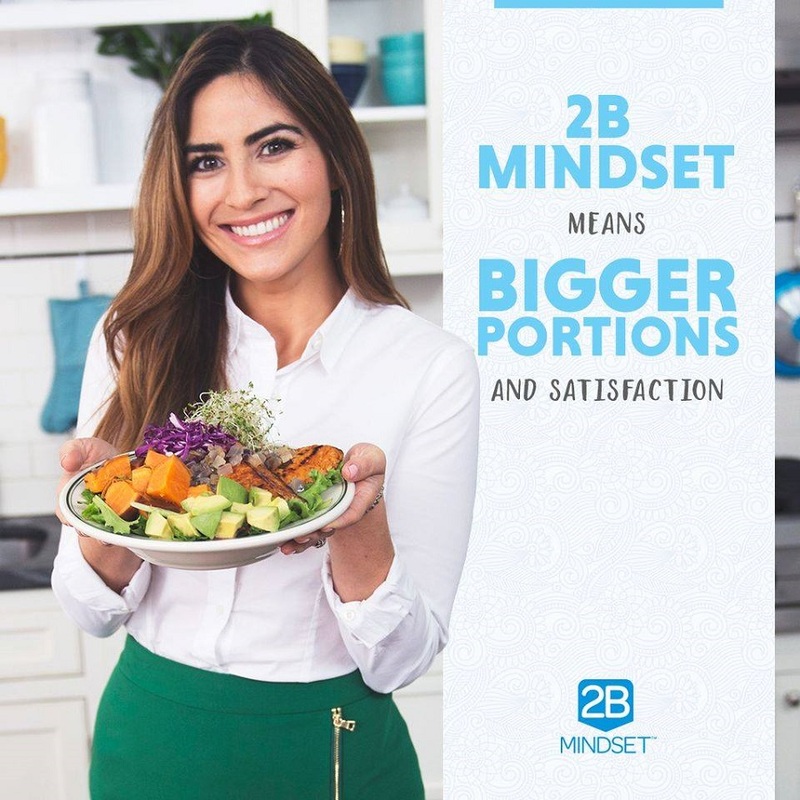 The 2B Mindset will help you lose weight happily – without depriving yourself, and without cutting out food groups, counting calories, or even having to exercise until you’re ready! Let's lock arms and DO this! What do you say? Complete this form to save your spot and I'll be in touch! 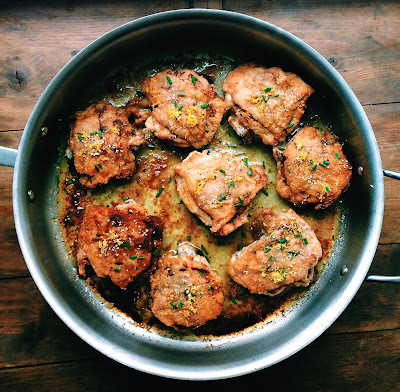 This roasted chicken recipe showcases juicy, flavorful chicken thighs with a lemony sauce that bakes itself in the pan. Roasted chicken thighs are quick and easy, and the ideal weeknight dinner for busy families. I served them with creamy cauliflower risotto and sautéed spinach. In a bowl, toss chicken thighs with olive oil and lemon juice; season with salt and pepper and marinate 1 hour (or up to a day). Preheat oven to 375 degrees. Roast chicken, skin side down, in an oiled roasting pan, 20 to 25 minutes; flip and roast 10 more minutes. I love pasta, rice, bread, especially when pairing them with creamy, melted cheese! But, I'm on a new program that's easy to implement, and one of the principles is to make veggies the star, or the base of the meal. So, I've found delicious substitutes for these heavy carbohydrates, and in this recipe, used cauliflower rice in place of risotto rice. The addition of cheese wedges, gives it a zesty creaminess. I love serving this with any type of roast chicken. 1. Place oil in skillet along with shallots, garlic, and mushrooms. Saute on medium heat until shallots are translucent (about 3 mins). 2. Add cauliflower rice; saute until rice is thawed (if frozen) and tender (about 10-15 minutes). 3. Add cheese chunks and mix well, until cheese melts throughout. 4. Mix in salt and pepper to taste. 5. Sprinkle with chives; mix well. **I served this with roasted chicken thighs. Want more recipes like this, or support in your health and fitness journey in one of my Fit Clubs? Complete the form below and I'll send you info within 24 hours!